How the cat purred and how the witch grinned, As they sat on their broomstick and flew through the wind. 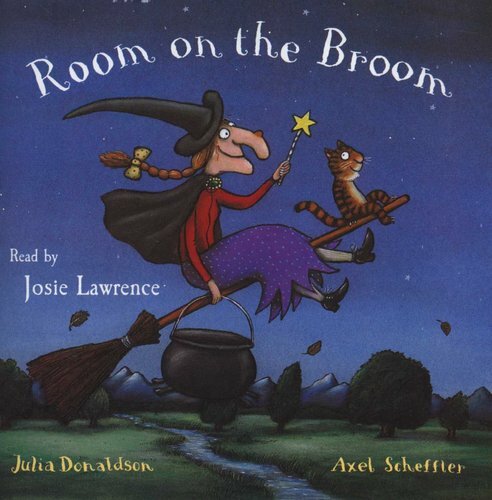 A very funny story of quick wits and friendship, Room on the Broom is another smash hit from the unparalleled picture book partnership of Julia Donaldson and Axel Scheffler, creators of The Gruffalo. 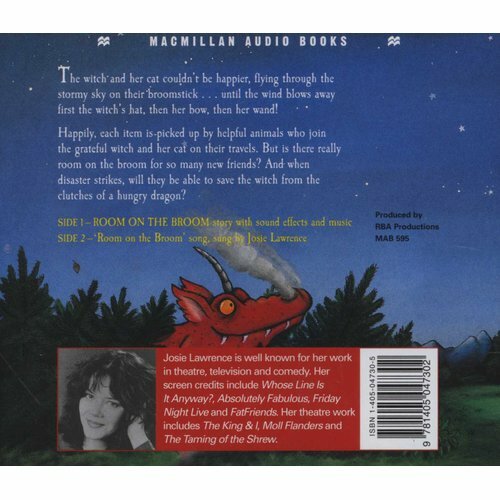 The witch and her cat fly happily over forests, rivers and mountains on their broomstick until a stormy wind blows away the witch's hat, bow and wand. Luckily, they are retrieved by a dog, a bird and a frog, who are all keen for a ride on the broom. It's a case of the more, the merrier, but the broomstick isn't used to such a heavy load and it's not long before . . . SNAP! It breaks in two! And with a greedy dragon looking for a snack, the witch's animal pals better think fast. 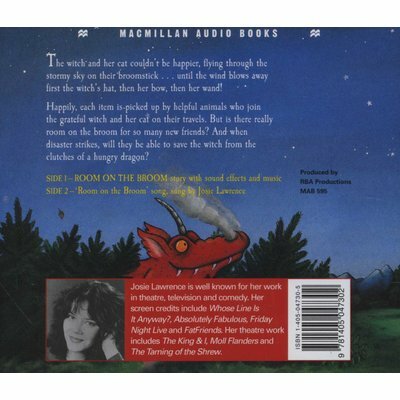 Children will be captivated by Julia Donaldson's irresistible verse read aloud by comedienne Josie Lawrence.